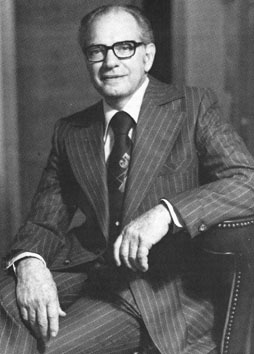 The founder of the Benz school, M.Buddy Benz, was a graduate of the Texas A&M class of 1932 in landscape architecture. After military service, Mr. Benz established a landscape and floral design business in Houston, Texas. He soon became known for his innovative style and exciting forms. As his reputation grew, so too, did his extensive collection of art from his world travels. His exposure to different cultures gave Mr. Benz an insight into theories of design, which transcend geopolitical boundaries. Soon he found himself teaching, as well as writing, about these theories of design. His first book, Flowers: Geometric Design, explored his studies of floral art within the American culture. It is still used as a textbook in many universities and colleges around the country. His second book, Flowers: Free Form-Interpretive Design was an introduction to Mr. Benz’s theory of using form and color of flowers to create personal expressions of floral art. Flowers: Abstract Form was Mr. Benz’s final book which explained his third theory of design in which floral art is a visual experience. As Mr. Benz neared retirement, he remembered his alma mater and decided to establish a unique legacy at Texas A&M. First, he created the permanent Benz School of Floral Design within the department of Horticulture at A&M. Second, he set up the San Jacinto Publishing Company at A&M, giving it the publishing copyrights to his books. Finally, he donated his collection of fine art and photography to the University. This collection is displayed in the Benz Gallery of Floral Art housed in the atrium of the Horticulture/Forest Science Building on the campus of Texas A&M University. The family of M. Buddy Benz established the world’s only chair in floral design at Texas A&M University following his death in 1980. The first person to hold the Benz chair is Mr. James L. Johnson, who was personally asked to serve as the director by Mr. Benz. Jim earned his undergraduate degree in floriculture from Michigan State University and later, his master’s degree from Texas A&M. He brought to the position his experience in retail floristry, memberships and participation in state floral organizations, and his broad knowledge of floral art. He has been a guest designer at symposiums and workshops around the globe, as well as an active presenter at garden club seminars and florist programs. He is a Lecturer Emeritus at Texas A&M where he received the Distinguished Lecturer honor and the Honor Professor Award. He has been honored by the Texas State Florists Association and received AIFD’s Award of Distinguished Service to the Floral Industry in 1999. He is the co-author of the revisions to Flowers: Creative Design, has written five Texas Certified Florist Program programs, and served as the advisor to SAIFD’s Forsythe student chapter at Texas A&M. Mr. Johnson retired from the Benz director position in 2011, but remains active in the program and with the students. 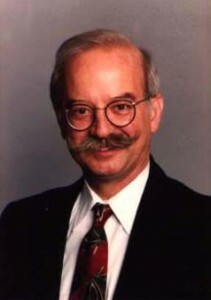 Buddy Benz recognized the importance of teaching students basic design theory. Without that knowledge, they would lack the foundation of floral art principles that are required for exceptional design. The generous gift of his estate has allowed countless students to study his theories of floral design and to make significant contributions to the floral industry worldwide.